How can classroom design motivate and engage students? A student centred classroom design, inspired by Starbucks, seeking to give students ownership of their learning and revitalize classroom environments. Flexible seating has been show to increase collaboration, motivation and engagement. Whether they sit at individual desks or at a group table, students are almost always told where to sit and who to sit next to. Adults recognise that different people work best in different environments. Some prefer a padded armchair where others need an upright chair and a desk. Yet children are rarely offered the choice of where to do their work. Instead they spend several hours a day in the one place. The traditional arrangement of desks does not always lend itself to the collaborative group work and communication which shape education. Instead, classrooms look as they did a hundred years ago. Inflexible spaces are less likely to foster creativity or engage and motivate students. Inspired by a visit to Starbucks, Kayla Delzer decided to redesign her Grade 2 classroom. She observed the way that adults were working in the cafe and noticed that some sat with laptops on their knees while others sat upright at tables. Everyone worked differently and everyone had made that choice for themselves. Kayla decided to give that choice to her students. She considered each area of her classroom carefully, always put the students at the centre of her design, and created various different zones. Unnecessary furniture was removed and a wide variety of tables and seating brought in. The effect was to create a dynamic environment where students were free to choose their own seats. As well as an open area for whole class teaching, there are mats and clipboards so children can work on the floor or they can choose to sit on exercise balls at a table. There are low tables with cushions and tall standing desks. With no seating chart, students can choose where they sit and for how long. Some students need to move a few times during a lesson where others prefer to stay where they are. A good level of classroom management is required for a productive flexible classroom environment and developing this is an important part of the flexible seating process. At the beginning of the year, Kayla allows her students to try out all the different seating arrangements. Then gradually they are allowed to choose where they sit for each task. The students and teacher co-create a set of norms for using the space. For example, children must walk to a seat and if there is a squabble over a particular seat either the students solve it amicably or neither gets the seat. If children do not work sensibly they may lose their seat choice privileges. All students know that the teacher reserves the right to move them. As a result of the flexible classroom, Kayla has seen an increase in collaboration, motivation and engagement. The children are excited to come to school and have a love of learning. Distraction has reduced and test scores even seem to be up. Those wishing to create flexible seating in their classrooms may meet with some skepticism from others though this may pass once they see the positive effects of such a classroom design. Flexible seating does also make demands on the teacher. By allowing students the power to choose where they sit, they may feel that their own power is slightly diminished. It requires a change of mindset as well as a change of furniture. Health and safety legislation may need to be considered in each country regarding the use of unusual objects, such as milk crates, as seating. Flexible seating has been shown to be particularly beneficial for students with additional support needs. Research suggests that moving and fidgeting help students with ADHD to concentrate. In a traditional classroom, these students may stand out but in a flexible classroom everyone is given the opportunity to move as necessary. Some time would need to be spent considering layout and acquiring items of furniture, which may include yoga mats, rugs, cushions, tables, exercise balls etc. Don't be afraid to experiment! This is limited only by your budget and imagination. Classroom environments are often rows with a board at the front of the classroom. By introducing flexible seating, creating personalized unique classroom design, you have an opportunity to create a brand new environment that's conducive for learning. Flexible seating seems to have a positive impact on learning in the classroom, particularly with engagement and motivation. It can also generate more opportunities for movement, improving oxygen flow to the brain, core strength and overall posture. Research shows that learning environments are pivotal in engaging students with their learning; however, this goes hand in hand with changing cultures and practices. Kayla Delzer’s original article has been read over 1 million times. She has helped over 30 school districts to develop their own flexible seating classrooms and people from all over the world have contacted her for her suggestions. Consider what it is you want to achieve, then make a plan to go for it! Before you start throwing out desks and buying new furniture, consider exactly what ways you'd like your classroom to change. 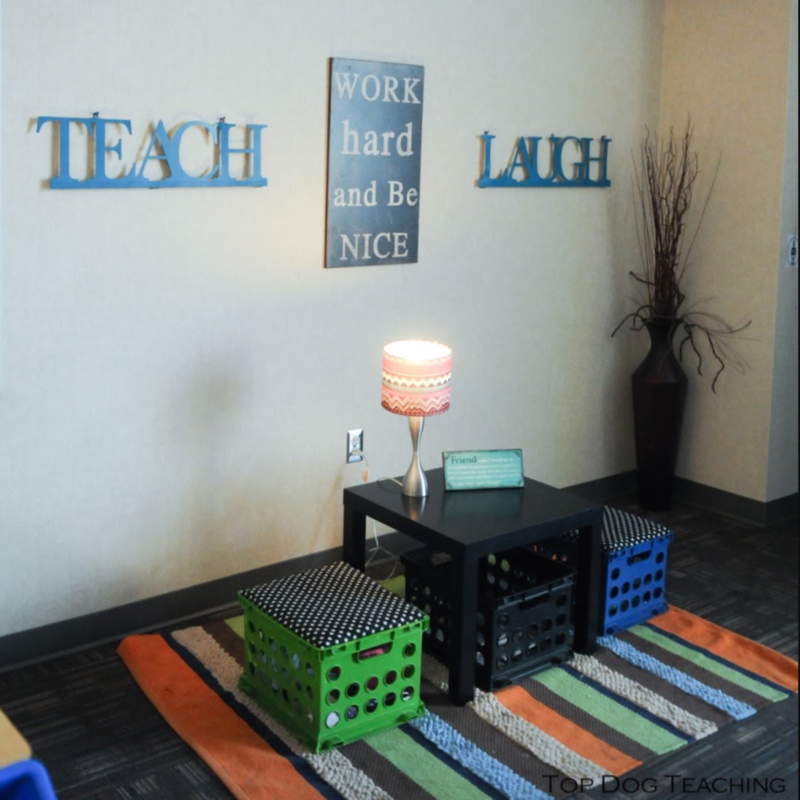 Redesigning your classroom can be expensive, but it doesn't have to be! Consider creative ways of achieving your desired effect. How could a new layout affect teaching, learning and engagement?